is on from 4 May to 11 June at Solander Gallery in Wellington. while maintaining a wider appreciation for the bigger picture of the conservation movement. Ben describes these works as ‘small stories for those prepared to listen’. they also represent a beautiful use of the printmaking medium. in their accomplished combination of the techniques of etching and woodcut. and how easily these vulnerable ecosystems are destroyed by human intervention. Be part of the exhibition for printmakers from this course & printmaking group later in 2011.
which you are able to join upon completion of course. 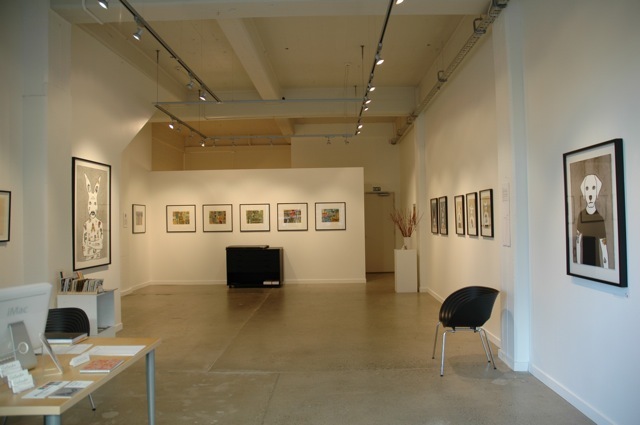 Solander Gallery in Wellington offer a range of workshops. fun one-day Woodcut Workshop with artist Sam Broad. Woodcut on paper, 29x26cm, edition of 73. Sam Broad will introduce techniques to create exciting and dynamic woodcut prints. Cost is $130, including all materials and equipment. regarding the upcoming Impact7 Print Conference. The conference is on 27-30 September in Melbourne, Australia. has now been published and is available for purchase. as well as combining various printmaking techniques. and health and safety measures in the printing workshop. to clean up your printmaking practice. is a professional artist specialising in non-toxic printmaking and painting. and teaches Printmaking part time at NorthTec in Kerikeri. with Graham Hall, held at Solander Gallery in Wellington. there is a Print Symposium on this Friday and Saturday in Auckland. around print culture in New Zealand. who may be interested in attending. Entry is FREE and no registration is required. Just turn up to whatever topics interest you! You could get a minu item for free! I have NO IDEA what it is that you will win, but [fingers-crossed] I hope it is a print!!! and will be announced 7 days after the submissions are closed. See minu's website for specific details about entering. Prawat Laucharoen International Artist in Residence. from around the world to work collaboratively, expanding the field of printmaking. The invitation for the residency came as a complete surprise. other than that the residency will conclude with exhibitions in both Manhattan and New York. 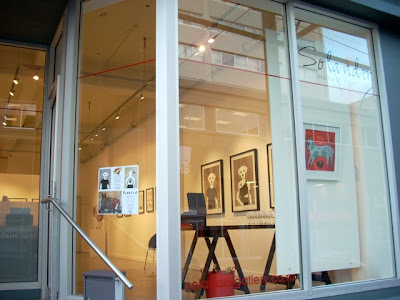 of printmakers and artists in such a vibrant and stimulating city. I am both excited and terrified, but really I have no expectation. It will be great to talk to people, and it's a privilege to go there at my age." taking up a teaching position in Hawke's Bay, later establishing himself in Nelson. allowing the production of works on paper with a "huge range of tonal qualities".